I’ve had a few inquiries from followers of my site asking for tips on painting kitchen cabinets. 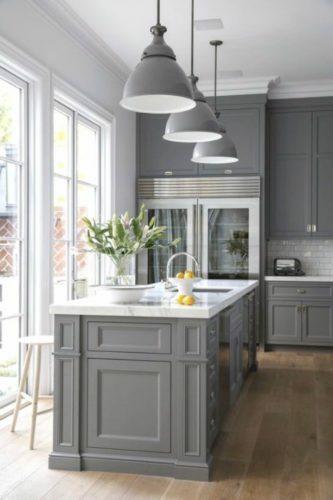 A new coat of paint on your cabinets can make the entire kitchen have a facelift. 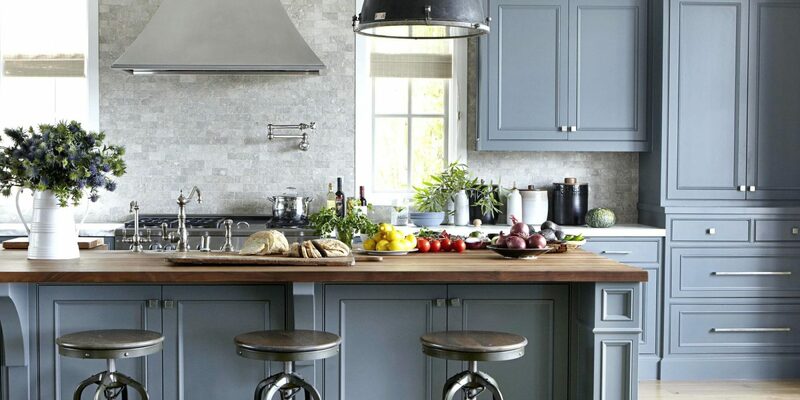 With all the great new colors and DIY tutorials, it is no wonder why painting kitchen cabinets are becoming popular. 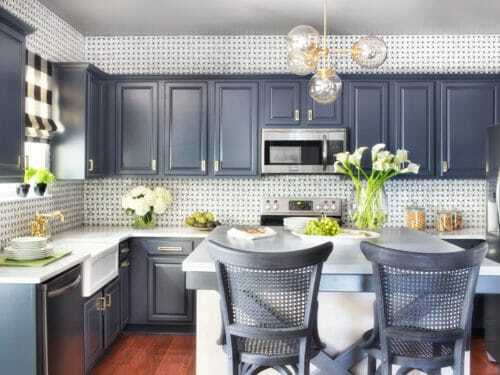 Painting your kitchen cabinets is a big job and one that you will look at EVERY. DAY. One note, before we get into mistakes: If you want a smooth finish I would strongly encourage you to skip the brushes and use a paint sprayer for your job. There are 50$ paint sprayers at Walmart that you can use, however, they require frequent refills, and with my experience drip paint and often get clogged. This paint sprayer will be an investment in any DIY projects, giving you a flawless finish, and saving you hours of work. Graco is the best company out there when it comes to painting sprayers. Think about it. okay, on to your project. If the project is rushed and not done correctly, you will end up with chipped paint, dripped paint and an overall unprofessional look. 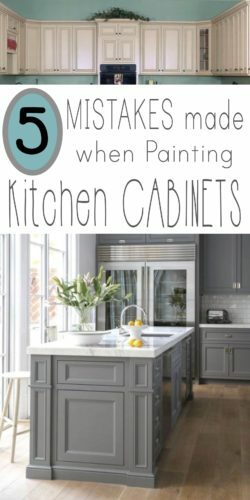 There are five main mistakes the people make when painting their kitchen cabinets. Take a few minutes to learn from others mistakes, helping you have a successful paint job. If you remove the cabinet doors from their hinges, then you won’t have to worry about painting over the hinge or masking them off. Sure you can just tape hinges over…that tip is all over pinterest, but they don’t ever show you the final product. Painting around the hinges adds another layer of paint to the surface. 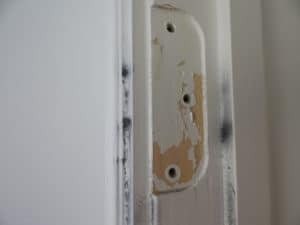 This paint can chip and tear easily over time when the hinge is used, because it is above the metal hardware. For a professional finish take the 5 minutes to remove your hinges as well as all handles and hardware from your cabinets. It gives your cabinets a much cleaner look. Store the hardware and screws in baggies that are labeled for drawers and cupboards. Tape these baggies to the inside of each door or drawer for easy access. The best way to spray or paint cabinet doors is to lay them flat on the ground – on top of an object. You can use quart cans, 2×4 planks, 5-gallon buckets or whatever you need to in order to get them off the ground, and in a horizontal position. I have used painter pyramid stands to lift up small projects and they work wonderfully. Many DIYers think, if they do a light coat, or if the temperature will dry the paint quickly it doesn’t really matter. Doors are set vertically against something, painted and gravity does what it is best at. Paint drips and dries unevenly. To avoid, resanding and repainting horizontally, paint the right way from the start. Let each side dry completely before turning them over to do the other side. That means let them dry to the touch, then another hour of drying time. Unless you are using chalk paint which doesn’t require a primer, make sure that you prime your cabinets well before painting. Kitchen cabinet painting is a major undertaking and not one I would want to have to do twice because of paint peeling. Use a good, primer such as Cover Stain. Primer not only ensures good adhesion of paint, but it also increased the paint durability. Did you know primer has plastic in it? It helps your projects be more durable! With 4 kids I have seen the need for a primer on every project, whether it is doors, cabinets, or walls. The primer also protects the wood beneath your paint. 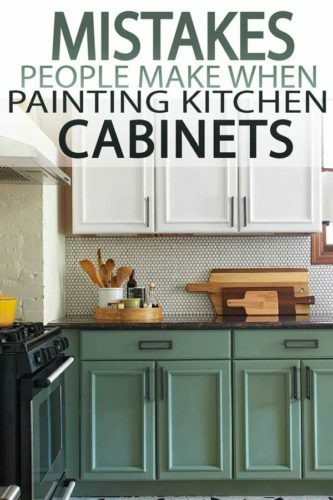 Give your cabinets a second coat of primer if needed. Please note: If you are painting your cabinets white you MUST avoid oil paint, to prevent yellowing- use latex paint only. This one blows my mind. Why go 80 % and then not finish the project? Any project needs a clear coat. ANY projects. Antiquing, distressing, it all needs it people! Use either a coat of wax if you are using chalk paint or any project you want a matte finish one. Set an alarm on your calendar for one year out, to re-wax your projects. If that doesn’t sound fun, do not wax your kitchen cabinets. Waxing requires upkeep. It also is great protection from stains and water. Decisions, decisions. Choose a clear coat of satin finish polyurethane if you want a shiny surface. Polyurethane does not require any maintenance. Once you are done, you are done. Make sure you get the WATER-BASED version, opposed to the oil-based version (except of course if you went with oil paint or stain). The water version adheres to the water-based paints, dries faster, doesn’t stink and adds scratch-proof protection. 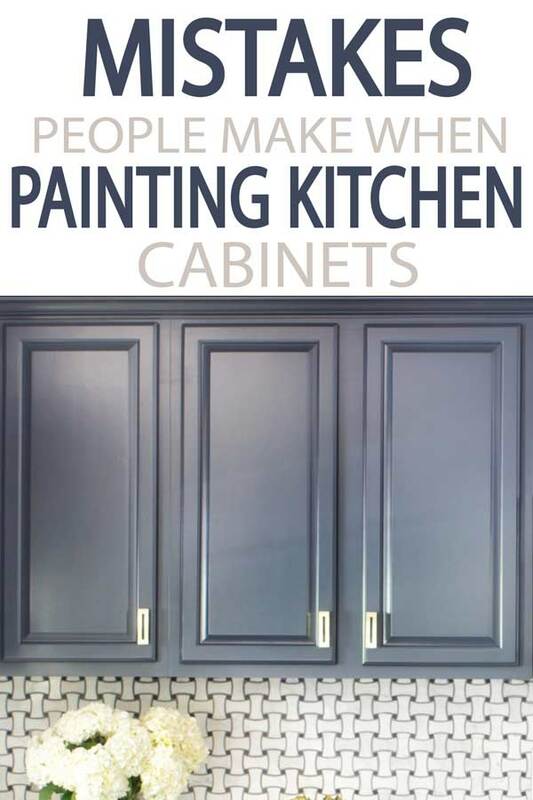 Kitchen cabinets take a lot of abuse and any extra protection or durability you can add to your paint job will give you years more value from your work. Don’t forget to wait for your cabinets to fully cure before you use them! 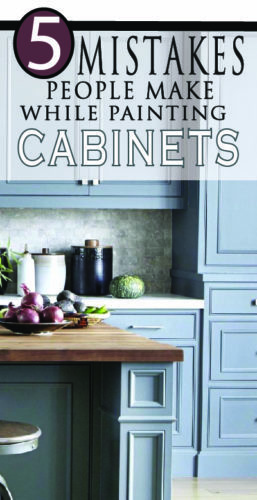 Your cabinets will feel dry to the touch in a few hours, and you will be tempted to finish the job by adding hardware and putting them to good use, however, painted wood doesn’t cure, or harden fully for a few DAYS. I once saw a beautiful handmade table and bench, and upon close inspection, there were four round indents on the clear coat. The intents were ribbed, like a pair of jeans. Four people had sat on the bench when it was dry, but not cured, and had permanently let the world know where they sat. I know, you don’t want to wait, but for a non-chip, perfectly flat finish you need to wait! 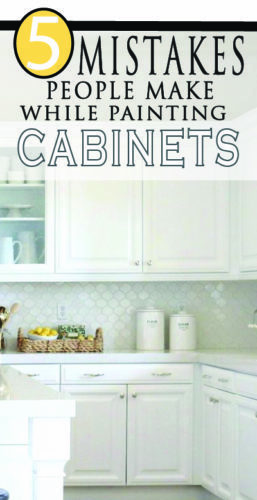 You worked so hard to get a smooth surface, resist wanting to hang your cabinets. You’ll thank me later. Curing time ona latex paint will take 3-7 days to fully cure. Good luck with your DIY cabinet project. I’d love to hear how it goes in the comments below. Love these tips? Pin it!